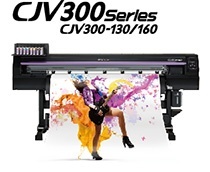 CJV30 Series | Product | MIMAKI SINGAPORE PTE. LTD.
Could this job be more attractive? How to paint and shape the town? Need more design freedom to convert innovative ideas into a more impressive designs and shapes. Showroom windows, shops, buildings, streets and automobiles, the city's landscape is the canvas for your imagination. Conceptualize, print & cut, the new way to shape everything anew. Everybody is attracted to this exciting new world! Liven up your daily life, decorate the street. Bring your creativity to life. 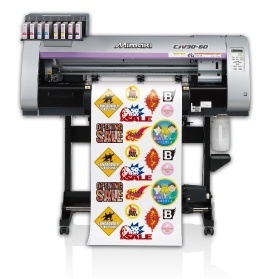 Easy Production of Seals, Labels and Stickers. Fast Generation of A0 Size Posters and POP Displays. 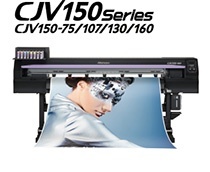 Print Service Providers Engaged in Printing of Large Size Signage and Vehicle Markings.